Ensuring that agriculture becomes climate smart is a priority for addressing the need for adequate, nutritionally balanced food for a growing and more demanding population in a situation of resource limitations, and climate change and variability. 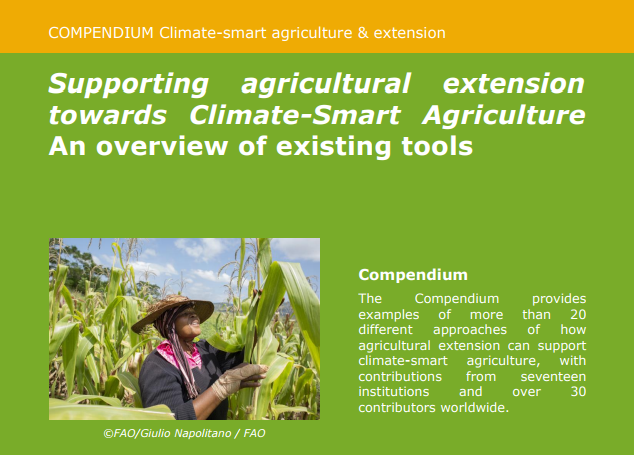 Despite the recognized importance of Climate-Smart Agriculture (CSA) by the Global Alliance for Climate Smart Agriculture (GASCA) and a range of international and national initiatives, the dissemination and uptake of climate smart technologies, tools and practices is still largely an ongoing, challenging process. Barriers at different levels must be overcome in all countries and solutions to these challenges must respond to specific local needs. The development and dissemination of CSA technologies and practices is challenging for several reasons. Firstly, CSA is not a simple ensemble of actions. Crop surfaces are complex systems that must be understood in connection with their climate, weather and atmospheric drivers. This means a strong interdisciplinary vision. Secondly, there must be adequate capacity at different levels to perform the actions and changes needed, and political will to support the implementation of climate-smart actions. This implies engaging multiactors’ interest and, above all, promoting their active involvement. As broadly recognized, all stakeholders – including governments, producers and buyers – should act as one to address the increasingly negative impact of climate change by securing adequate policies, technical and financial conditions for increased productivity, building resilience and the capacity to adapt, and seeking opportunities to mitigate emissions of greenhouse gasses.